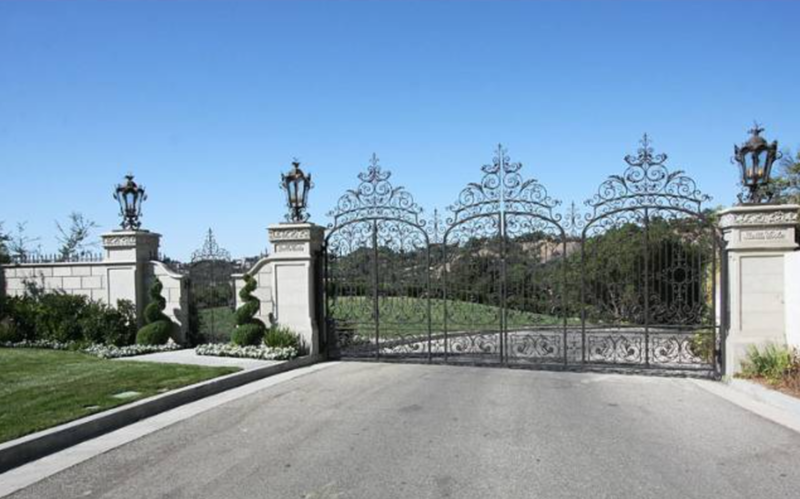 Gated community w/only 7 homes-entrance immediately adj. to N. Bev. Pk. Gorgeous Tuscan Villa on apx. 10ac promontory overlooking Bev. Park w/cyn and city vus. Gated and pvt. 500' driveway. N/S TC. GH. Hwd and limestone floors, Venetian plaster, hi ceilings, and custom cabinetry. Liv rm, library, FDR, master suite w/tremendous custom closet and luxurious bth, and combined kitchen and family rm. 2 separate wings upstairs. Outdoor kitchen and maids qtrs. Impeccable landscaping, expansive lawns, patios, pl and spa.